bitStarz – €10,000 July Extra Wars! Wager on Amatic games in July to win great prizes! Win up to €500, every three days in July! Fan of the Slot Wars at bitStarz are going to love their brand new campaign called Extra Wars. The tournament structure is pretty much the same as in Slot Wars, every wager will earn points to climb to the top of the leader board. Simple and straightforward. What has changed here is that the races only last for 3 days with a prize pool of €1,000 for each and that they pick each month a different game provider. The TOP20 scorers after every three days will share the prize pot, with the winner pocketing a whopping €500. Not yet an account with bitStarz? Then do it now and claim on registration 20 Free Spins on Starburst™, Fruit Zen or Boomanji, no deposit needed and/or their fantastic 5BTC or €500 + 180 Free Spins Welcome Package. Take part in proper wager races as any avid slotter likes them. 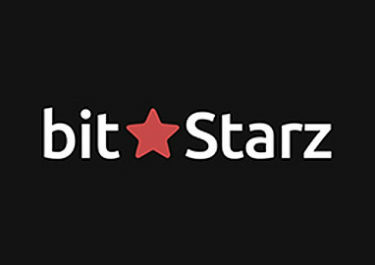 bitStarz launched their “Extra Wars” with ongoing wager tournaments that last for three days and come with a €1,000 prize pool each. Every race starts at 10:00 CET and finishes three days later at 09:59 CET, only for the next race to take off straight away. Prizes from the current race are credited within 30 minutes of the tournament end. Collect 1 point for every €1 or currency equivalent wagered on any slots of the chosen game provider. For July this is Amatic with exciting games such as Eyes of Ra or Billionaire. Only wagering on the selected games from the current game provider counts towards the leader board. The TOP20 scorers after three days will share the prize pool. All prizes are credited as bonus with a 1x wagering requirement shortly after the current tournament has ended. Launched in 2014, the casino is owned and operated by Direx N.V. under a Curacao license. On offer are on desktop, mobile and tablet games from Netent, Amatic, Betsoft, Endorphina, GameArt, Habanero, iSoftbet, Microgaming, PocketDice and SoftSwiss. Their Live Casino tables are powered by Evolution Gaming and Ezugi. 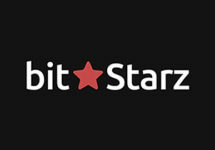 To note is that bitStarz was the first online casino accepting Bitcoins as currency among others such as AUD, CAD, EUR, GBP, NOK, SEK and USD. Customer support is offered 24/7 via Call Back, Email and Live Chat.